This is the same cognac as the "standard" Martell XO. The color of XO Martell is deep golden. On the nose: Some leather hints, dry fruit. On the palate: Round and fruity - more the feminine XO, then it increases its complex aromas, and spicy notes come through, wood. The Grande Champagne eaux-de-vie adds to the final, an elegant and long finish. 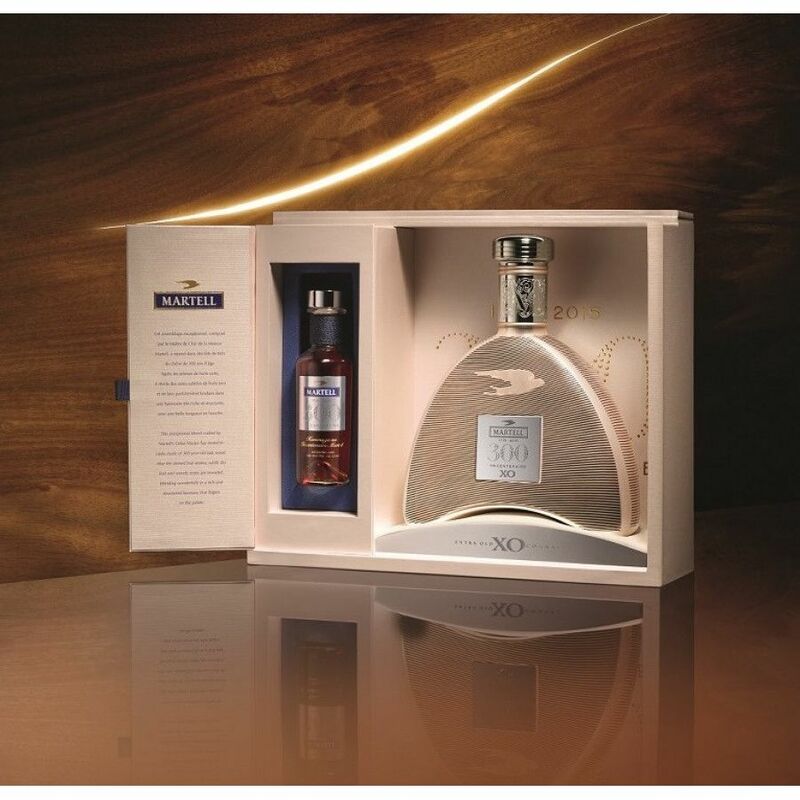 This special edition for Martell's 300th anniversary, Martell XO Cognac Tricentenaire Edition is a new masterpiece with great eaux-de-vie including old hints of aged wood. This blend represents Martell's 300 years of traditional art of blending Cognac. Together with the decanter, there is a second bottle: The same exclusive Martell Tricentenary blend - in a simplistic 10 cl "montre". A montre is a usual sampling bottle in the cognac region. This edition is the 700ml version with second tasting bottle, as shown on the images. Nose: Round and balanced notes, oak hints, plum and almond. A rich rancio comes in, some leather aromas due to its length of ageing. The Borderies spirits in this blend lead to a floral fragrance. Eye: Its amber coloring indicates a great cCgnac.